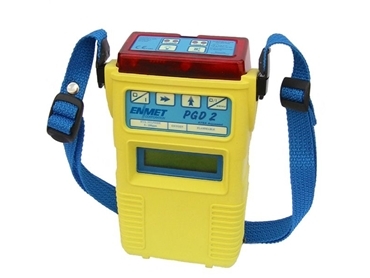 The Enmet PGD2 4-Gas Portable Detector for combustible, oxygen and toxic gases is available from Anri Instruments & Controls features a catalytic type sensor for 0-100% LEL methane. It is programmed for more than 12 other combustible gases and vapors and can also be fitted with an oxygen sensor and up to 2 electrochemical sensors for a variety of other toxic gases, including CO, H2S, NO2, SO2, etc. The gas detector features audio and visual alarms and complete data logging capabilities. The PGD2 offers 2 primary ways to monitor gas: by diffusion, or sample draw when using the available option of an internal pump.